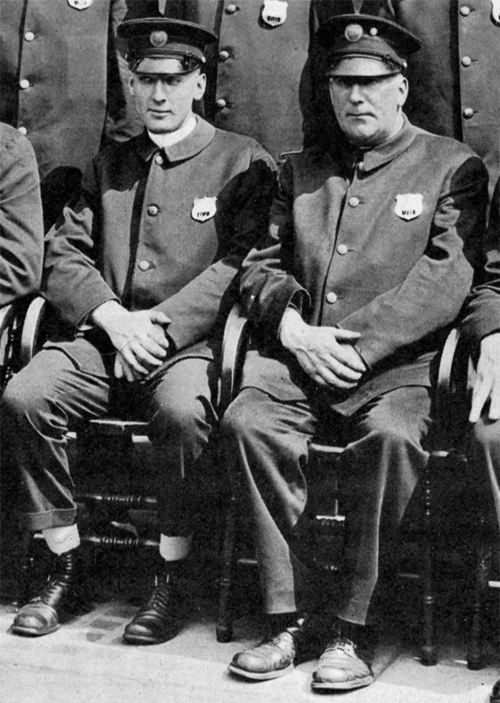 On this day in Duluth in 1920, fifteen current and former Duluth police officers were exonerated of charges of drinking while on duty less than a month after Prohibition became the law of the land. Those accused included detectives J. L. Bradley, John Roberg, and A. V. Youngblood; Sergeant E. J. LeBeau; patrolmen Gilbert Gringer, Fred Mahlen, John Link, A. A. Wanvick, H. H. Huber, Stants Nesgoda, L. G. Weber, James Woods, Jerry Gleason, Herbert Cavanaugh, and W. E. McKenna. The decision came after a “secret meeting of the civil service commission.” All had been accused by Selma “Ma” Smith, proprietress of the West Hotel at 16 Second Avenue West, who “testified that the police had drunk whiskey at her hotel while on duty.” M. J. Filiatrault, president of the commission, explained that the men were exonerated on the grounds that “Mrs. Smith’s testimony, unsupported by a single witness, could not be substantiated in the face of denials of every man whom she had implicated. Mrs. Smith was alone in making the charges and was absolutely unable to get witnesses to verify her testimony.” Smith’s accusations came weeks after patrolmen Cavanaugh and McKenna raided her hotel, arresting five men for gambling and drunkenness, another for running a gambling den, and Smith for running a blind pig. Smith pleaded not guilty. Charges were reduced to “permitting the drinking of liquor” and she was fined $75. Following the raid, Gertrude Swanson, who worked at the hotel as a maid, accused Cavanough of trying to assault her. Smith testified at the hearing, and “threw a bomb into the proceedings by making wholesale charges against 21 members of the department, asserting that they had frequented the West Hotel while on duty, [and] had gambled and drunk liquor there.” She also said she had “purchased various quantities of whiskey” from Sergeant James Woods, but later recanted her accusations against six officers.